CSA Cavalry Flag 32" X 32"
CSA Cavalry Flag (32" X 32") Cotton, cut, & sewn. Very pretty glag. 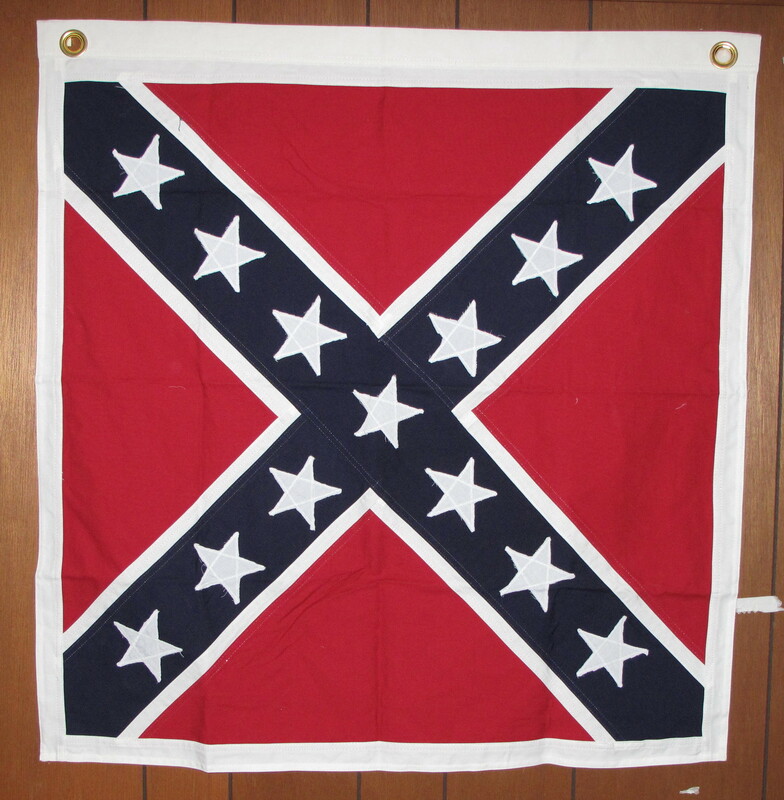 Also known as the "Southern Cross" & "Virginia Battle Flag". Larger version are the Artillery Flag (38" X 38") and the Infantry Flag (52" X 52").Satisfaction guaranteed. Fully refundable within 14 days of reciept.